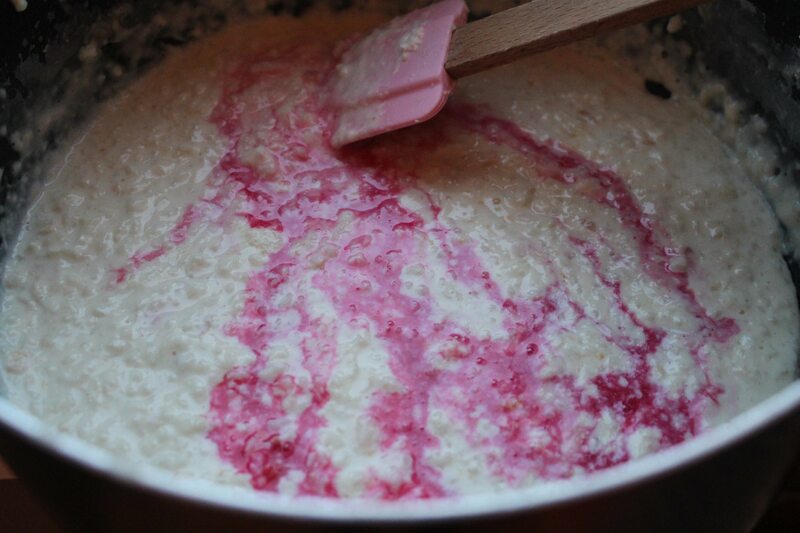 Kheer, a sort of Indian rice pudding was one of my favourite desserts growing up. Still is! My mum used to make it in big batches and it was often presented when we had guests round or on special occasions. I’ve created my own twist on the classic, by matching it with Turkish Delight flavours. 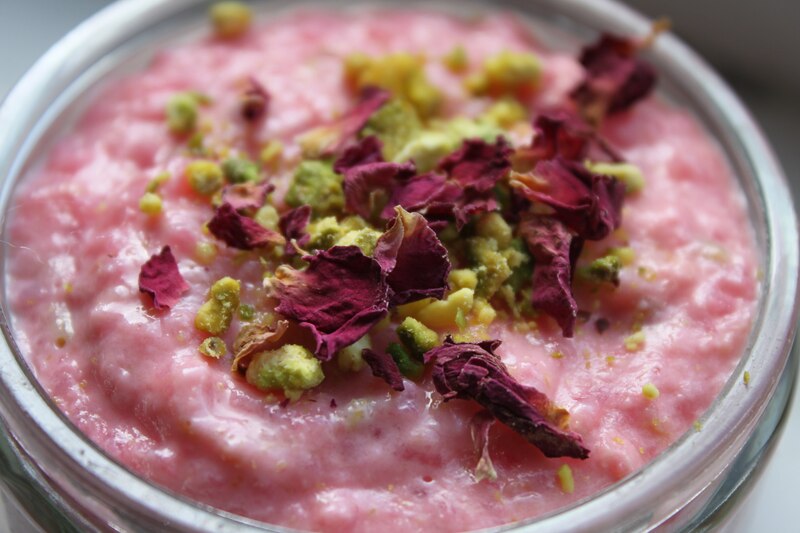 This rose and pistachio kheer pudding looks so impressive, yet it’s so easy to make! 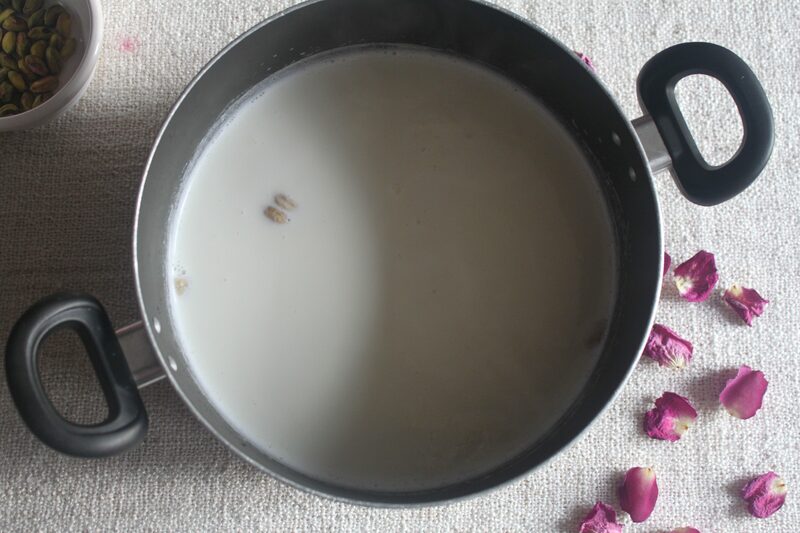 There’s a few different ways Kheer can be made. Some people use condensed milk as a bit of a cheat, others don’t. In this recipe, the rose syrup is quite sweet – so using sweetened condensed milk would have been over kill. Plus, I like the traditional method. It takes a little longer, but is well worth it. 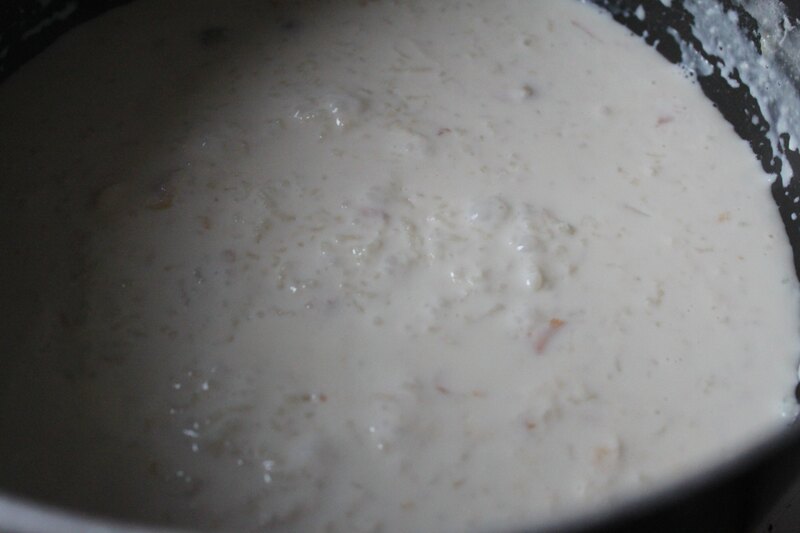 A good Kheer has tender, melt in the mouth morsels of rice as it’s cooked slowly in milk infused with cardamom. Best served chilled, which is when it thickens up. If you’re planning on serving this to friends, consider planning ahead and making it the day before. Cooking time: 1 hour 30 minutes, remember this tastes best when left to chill overnight or at least 3 hours. Serves: If you’re serving in small ramekins, like my old GU pots it gives you 3 or 4 very small dessert dishes. Otherwise you can serve the dish in one big bowl and 4 people can divide into their own plates. If you’re cooking for more than 3 people though, I advise you double this recipe. You will need a deep, large pan. One like you might boil pasta in. 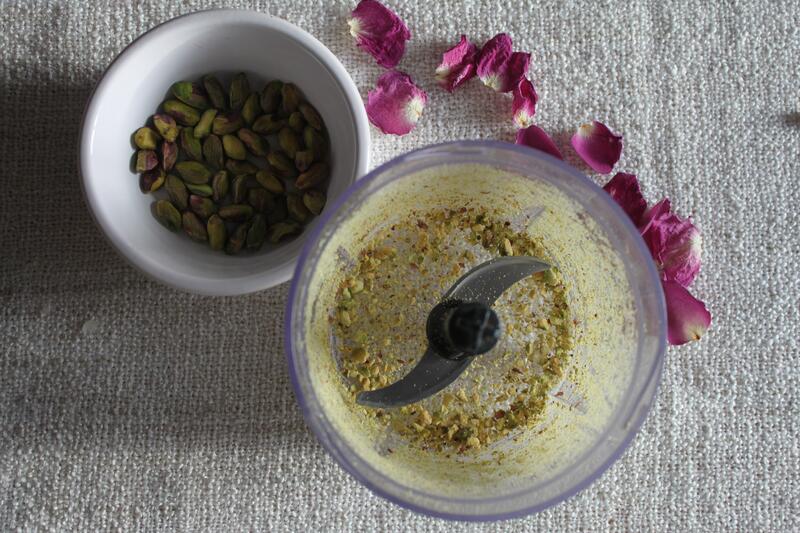 Scales, a grinder/chopper – or a way to break up the pistachios. Cling film. 2 pints whole milk, the creamier the better. 4 whole green cardamom pods (split them open a little). 50ml of rose syrup (Rooh Afza, or any brand. 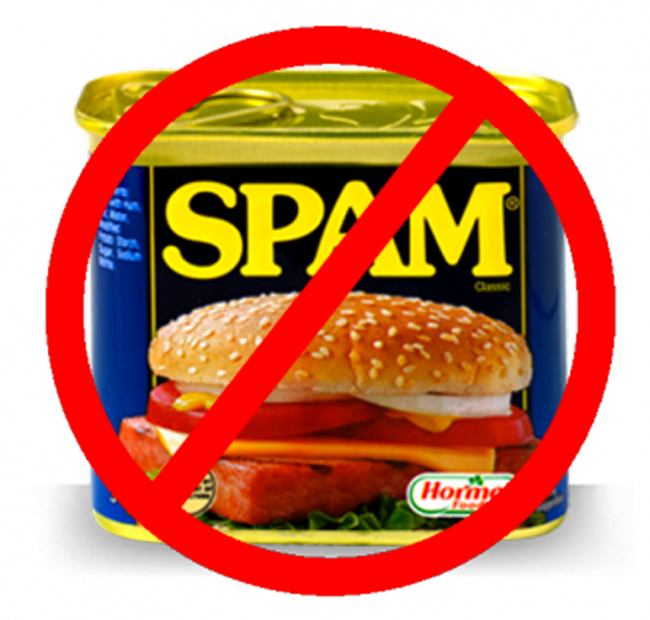 Commonly found in most supermarkets in the Asian food aisle). 15 pistachios (unsalted) + some extra to garnish at the end. Pour the milk into your pan and heat it up nice and gently. No need to whack up the heat. This recipe is all about going slow. Add the cardamom and rice to the milk. Remember to slightly split the cardamom pods before adding. This helps ensure you get the most out of their flavour. Cardamom is the secret flavour. Make sure you keep the heat fairly low as you don’t want the rice to stick to the bottom of the pan. You’ll end up with little brown lumps otherwise. Slowly bring the milk to a gentle boil and keep it simmering. Ensure you keep stirring from time to time. Keep doing this for about an hour, or slightly over. You’re aiming for the milk to be reduced by half. 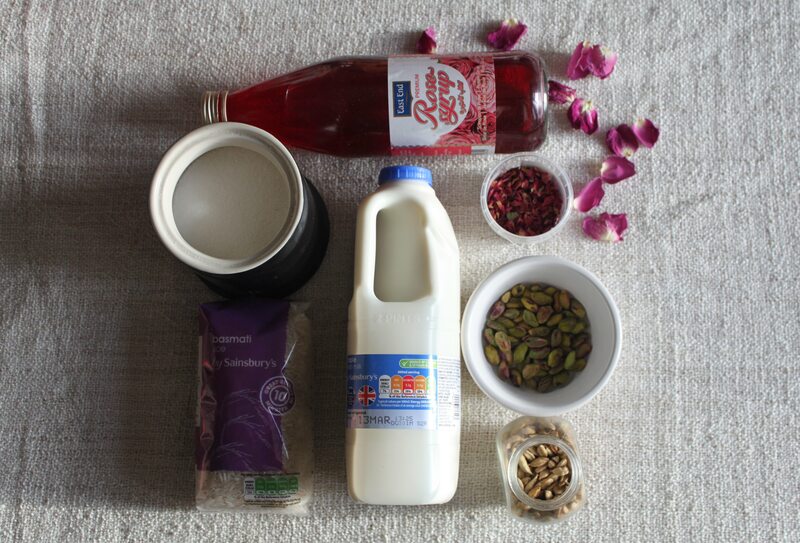 When the milk has reduced, pop out your cardamom pods as they’re not great to chew on. Alternatively just push them to the side as you eat. My mum never took hers out! At this point, mix in your sugar. Roughly chop your pistachios and fold them in too. Around 12-15 for the pudding, then a few extra to garnish! 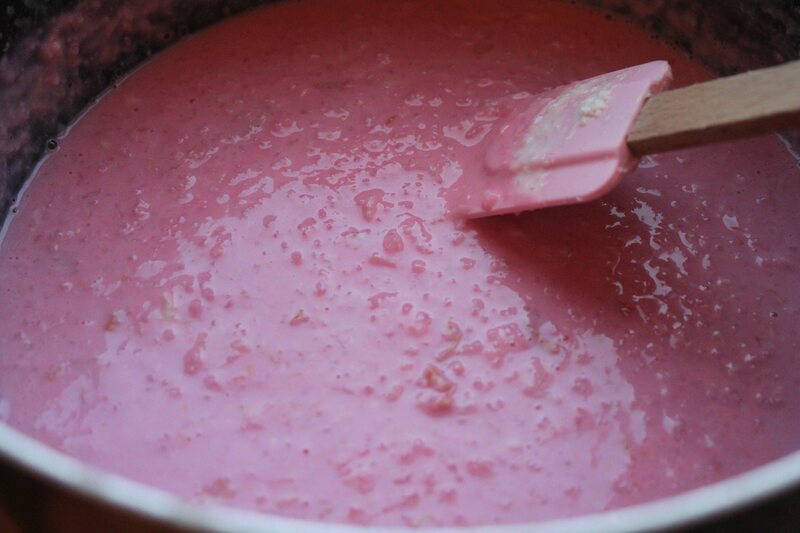 Now, turn off the heat completely and stir in the rose syrup. I’ve suggested 50ml, but everyone has a different preference for sweetness and how strong the rose flavour is. I suggest pouring it in little by little – mixing and tasting as you go. You may decide you want more than 50ml! At this point, you have a few options. You can either put the pudding into little ramekins like I did, or simply put it into a large serving bowl. Both look beautifully presented, so it’s entirely your choice. Cover your bowl or ramekins with some cling film and cool it in the fridge overnight. This is the best way! Otherwise, at least 3 hours. 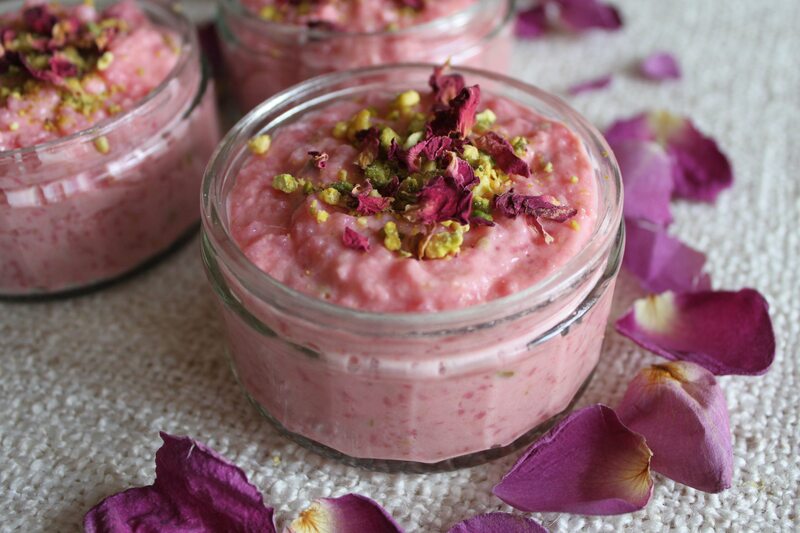 When you’re ready to present, decorate with some edible rose petals and ground pistachios. The green colour contrasts vividly against the pink… I love it! 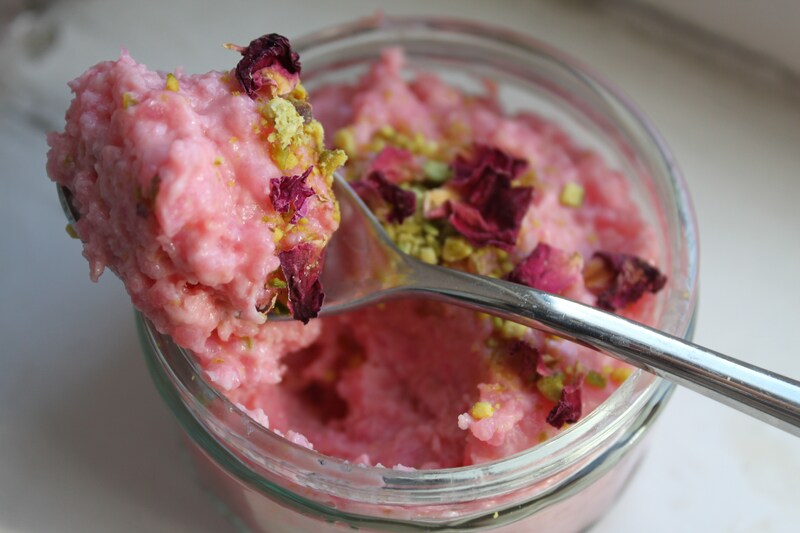 If you’re planning on making this Rose and Pistachio pudding I’d love to see your snaps! 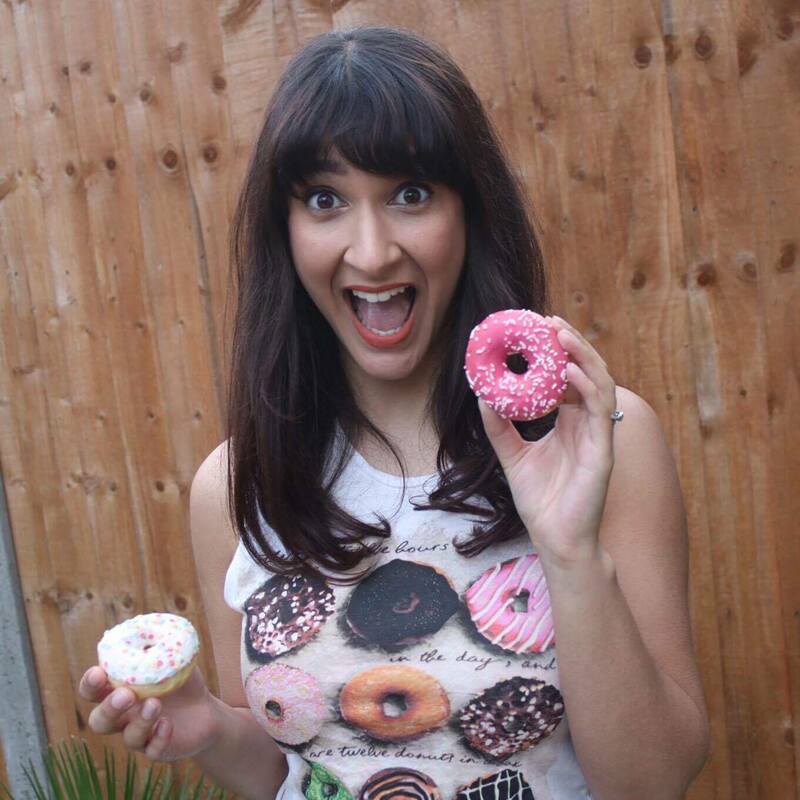 Tweet me a photo on @SoWrongItsNom and let me know how you got on.